I was walking to work today and saw a crew cleaning up from a festival held in the square over the weekend. 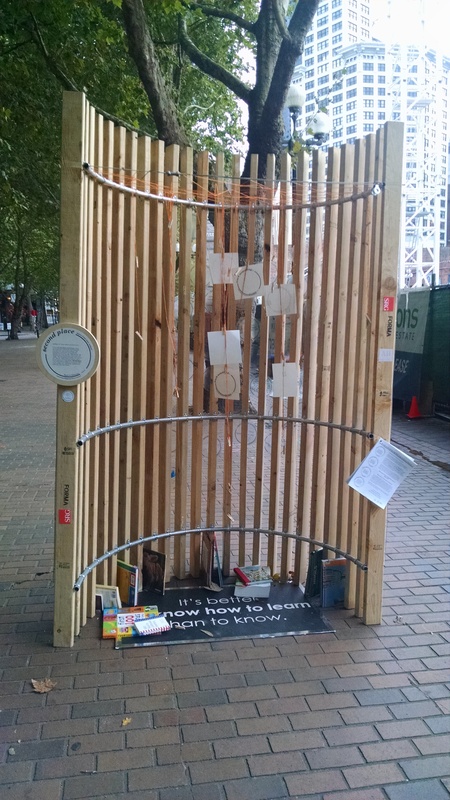 One of the installations caught my eye in particular; this one focused on learning and sharing knowledge. 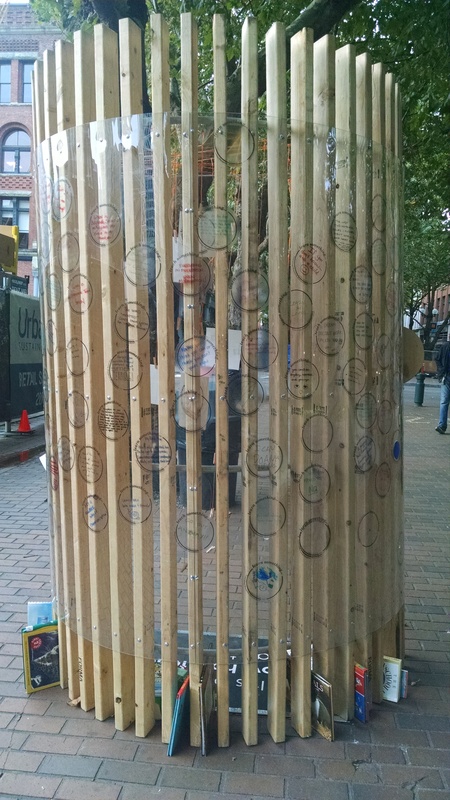 It encouraged people to interact with it by adding some of their own knowledge they wanted to share. Bits of knowledge scribed on little clear plates. There were also books to take and read. I hope the crew leaves that one up for awhile. Almost like a Free Little Library, I would love to see designated learning/book sharing spots like this all over the city.